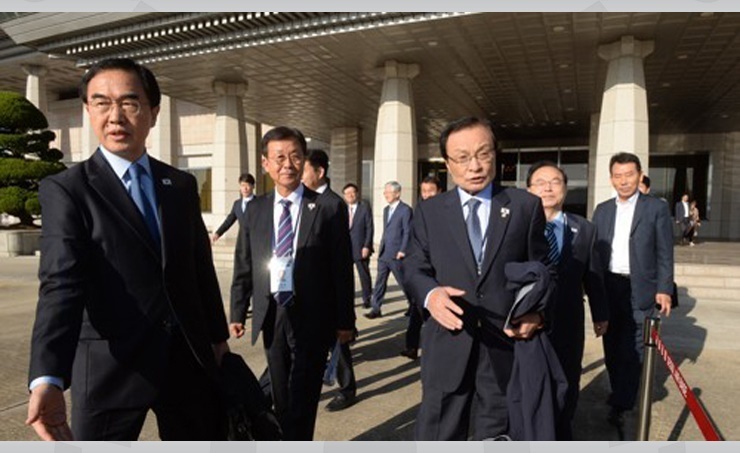 Seoul, Oct. 4 (BNA): A group of South Korean officials, politicians and civic and religious leaders left for North Korea on Thursday to take part in an event to jointly celebrate the anniversary of the 2007 inter-Korean summit. On Friday, they will take part in the first-ever joint event to celebrate the 11th anniversary of the 2007 summit held in Pyongyang between then-South Korean President Roh Moo-hyun and then-North Korean leader Kim Jong-il. "We make this trip to Pyongyang in the spirit of the October 4 Declaration," Cho told South Korean News Agency Yonhap reporters before leaving for the North. "The government authorities together with political parties, municipal government officials and civic groups will return after creating a chance to solidify inter-Korean reconciliation, cooperation and peace." During their three-day stay, they will also tour major facilities and attend a mass gymnastics performance, which a ministry official expected to be short on propaganda and anti-U.S. messages like the one performed during President Moon Jae-in's visit to Pyongyang last month for a summit. Minister Cho, who is in charge of inter-Korean affairs, is expected to meet with his North Korean counterpart, Ri Son-gwon, to discuss follow-up measures to the agreement their leaders reached in their September summit in Pyongyang. The trip is presumed to be costing the government up to around 280 million won ($250,000), which will be paid to the North, according to the unification ministry.